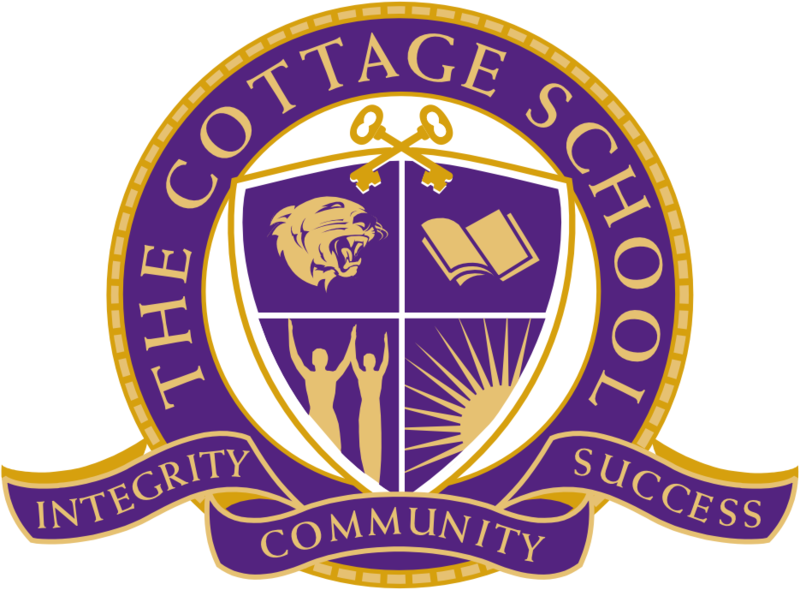 The Cottage School Cougars hosted their first AAC contest of the season versus the Mill Springs Academy Mustangs on Wednesday (11/28) evening. The Cougar defense smothered MSA early and often forcing multiple turnovers and missed outside shots. 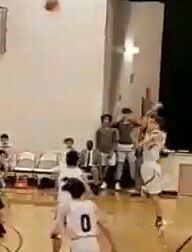 TCS capitalized on the other end scoring in double figures in all but one frame for the 48-18 victory. 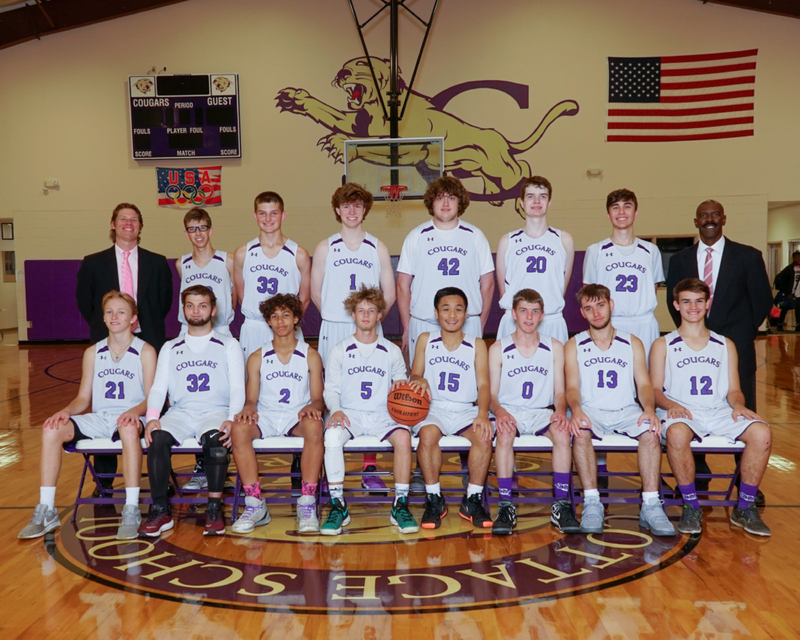 Parker DeMent and Aidan Briggs scored 12 of the Cougars 14 first quarter points to take a ten point edge at 14-4. Reese Bentley got going in the second stanza with back to back three pointers and Cottage held a 25-8 advantage at the break. TCS dominated the paint throughout the contest which opened up more outside shot opportunities. 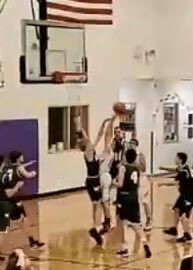 This allowed for Lucas Hoffman and Brett Boyles to show off their range, but nothing compared to the icing on the cake. Senior Eric Vogel has yet to score on the varsity level and in one deep stroke, he gave the Mustangs sweet music for their bus ride home. With confidence Vogel caught a pass at the top of the key, but from 40 feet out, turned and fired up a shot. The ball arched as perfect as a rainbow and played string music on the way down through the net. It was equivalent to one of our archers shooting an apple dead center on top of an opponent’s head. Coach Amanda Parker would have been proud of the Eagle eye accuracy! The Cougars outscored Mill Springs 15-4 in the final period to take their first AAC win, 48-18. The Cougars practiced yesterday to get prepared for back to back road trips. Tonight will be at Wilson Academy (rented gym) and tomorrow they will travel on a rare Saturday night game to Al Falah Academy (rented gym). Eric Vogel stole the night on one shot! 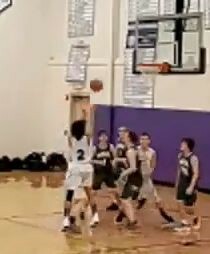 He also earned 2 steals for his effort on defense. Here is my impression of the amazing special effects of a 1989 NES game called Ninja Gaiden. Lucas Hoffman not only hit a 3-pointer but also gathered 2 rebounds. 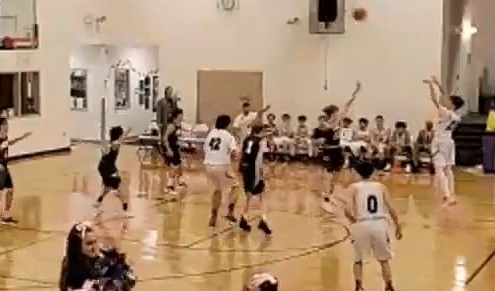 Alex Hoeve connected on an exciting basket plus the foul. He also added 2 assists. Reese Bentley got sweet revenge on his former team with 9 points and 3 rebounds. Aidan Briggs led the team with 11 points, 7 rebounds, and 7 steals. That makes back to back games where the Cougars had teammates record 7 steals, with Shane at AASD. Both one shy of the 8 steal TCS record. 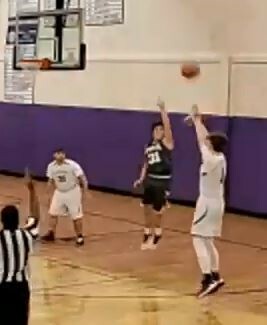 Parker DeMent grabbed 7 boards with his 6 points. Brett Boyles and Murphy Husnik had 7 points each.